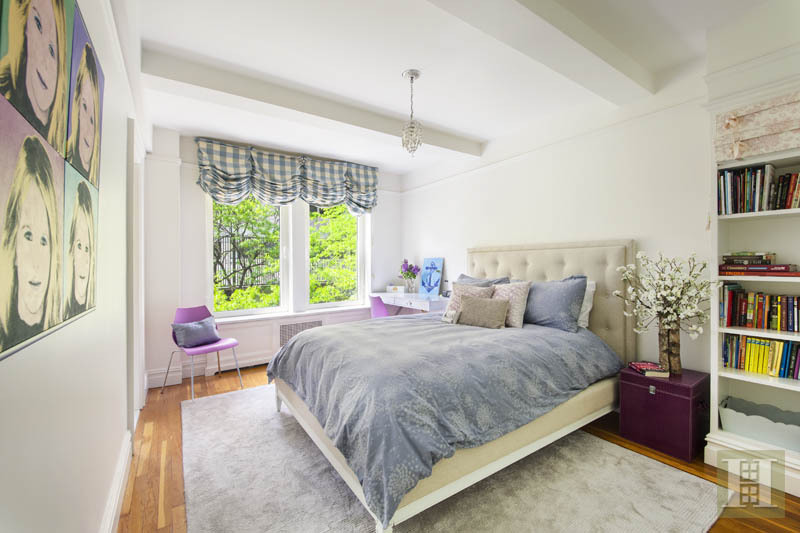 This bright and cheerful 3-bedroom CONDO home with central air conditioning is fully renovated with an elegant combination of pre-war charm and timeless contemporary details! Bathed in southern light, the large living room is warm and inviting with stunning tree-top views from three oversized picture windows. 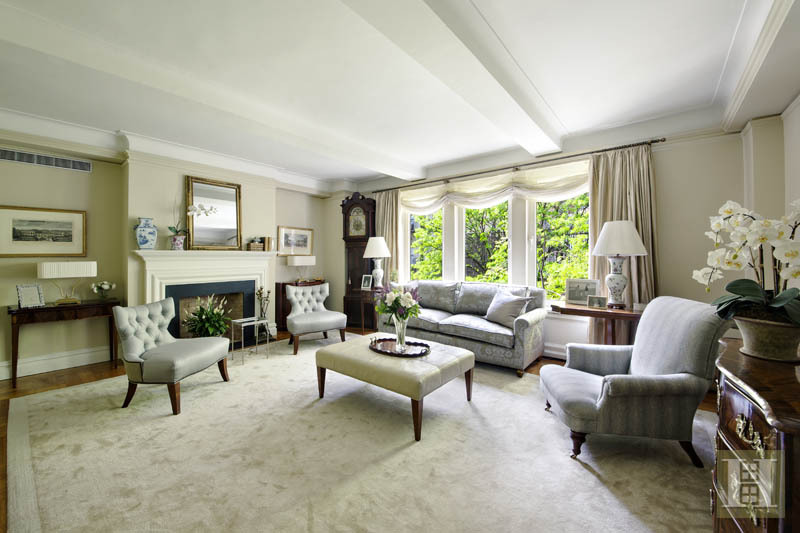 This grand room also features custom-designed bookshelves, decorative fireplace, and beamed ceilings. An eat-in kitchen offers beautiful marble counters, patterned limestone floor, Subzero refrigerator, Marvel wine fridge, six-burner Viking stove, dishwasher, and lots of cabinets and storage. 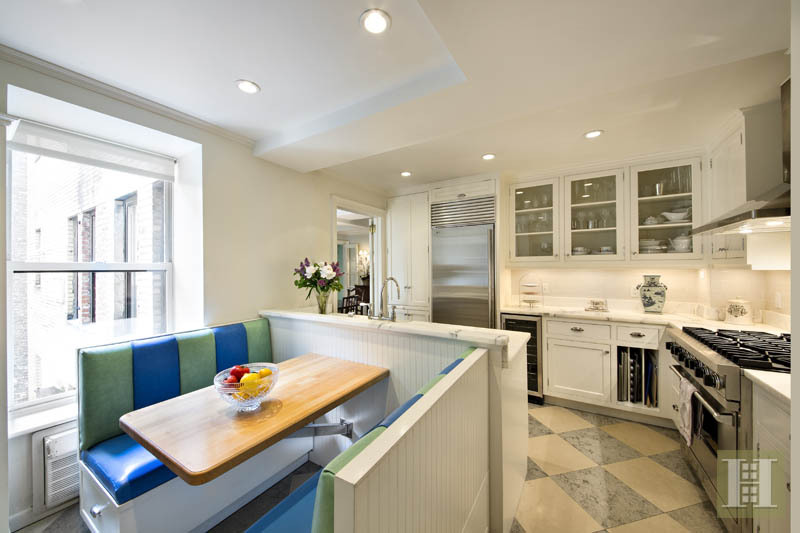 The built-in banquette makes it the perfect gathering place. Facing south, the exceptional master bedroom equipped with a Sonos music system is a peaceful retreat with soothing natural light and gorgeous tree views, en suite marble bathroom, and custom closets. 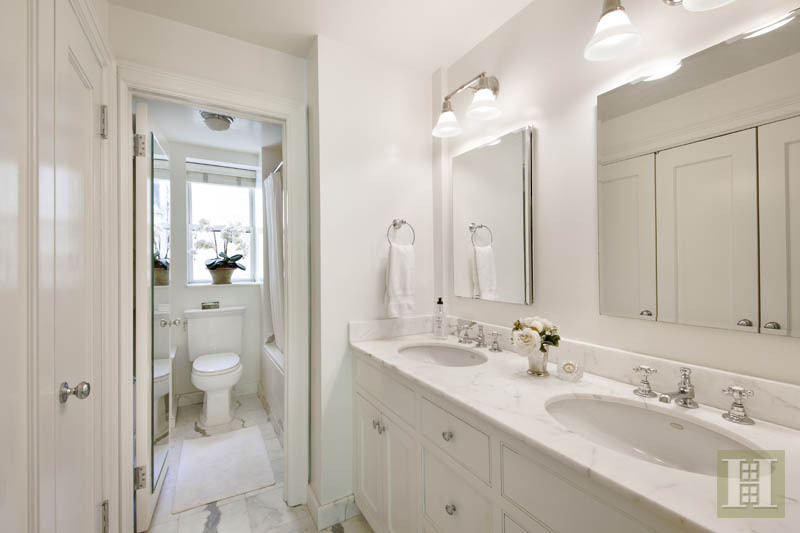 Additionally, there are two large bedrooms and 1.5 bathrooms with marble finishes. Other notable features in the apartment include hardwood floors, ornate moldings, beamed ceilings, a laundry room with stackable W/D and sink, and central A/C with a programmable thermostat accessible by Internet remotely. 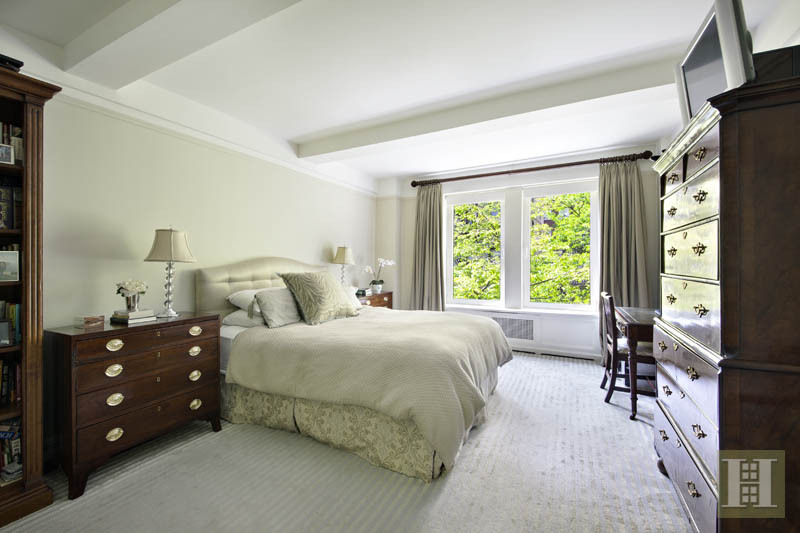 Located in the heart of Carnegie Hill, this art-deco pre-war condominium is just off of Park Avenue and only 2 blocks from Central Park. The building boasts 24-hour doorman, live-in superintendent, common courtyard, storage bins, bike room, and central laundry room. Convenient to fine restaurants, gourmet grocers such as Fairway Market, Museum Mile, high-end shopping, public transportation, and private schools. It's the best of all worlds! Sorry, no pets allowed in this building!